There had been questions floating all around the Indian Football sphere for a while surrounding the ISL and I-League drama. After the recognition of Indian Super League by AFC, the Kolkata football aficionados were clouded with questions of whether their beloved East Bengal and Mohun Bagan will be a part of India's Elite Football League. Well, there is an answer to their questions. 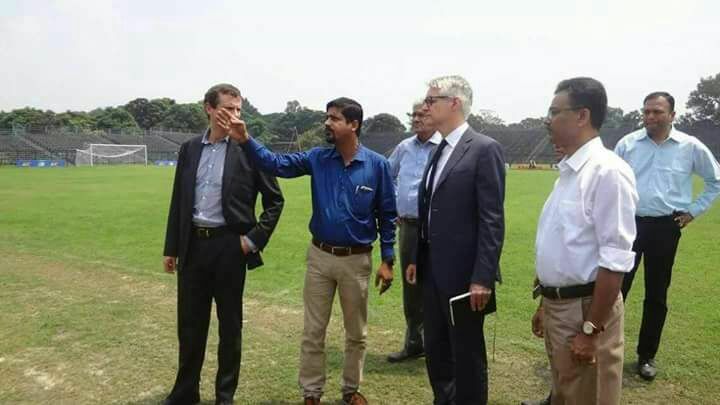 Yesterday, FIFA's representative Nic Coward on his visit to Kolkata alongwith AFC's representative Alex Phillips visited both the age-old giant clubs of Kolkata accompanied by IFA Secretary Utpal Ganguly and AIFF Vice President Subrata Dutt. Nick insisted that India's main football league cannot be played without the participation of Mohun Bagan or East Bengal. Alex took the stage and said that removing ancient clubs does not fit with FIFA's tradition. One of FIFA's slogan 'Go for Heritage' aims to help the distressed clubs. Nick added that FIFA is currently even running programs to revive the distressed age-old clubs in Latin America. This possibly ends all the misconceptions of AIFF and IMG-R to implement the plans to continue with ISL, instead of East Bengal and Mohun Bagan. Such an open declaration from FIFA officials has turned on the thinking taps of AIFF. Should AIFF intends to make ISL the top tier of Indian football, they are compelled to bring the two Kolkata Giants into the scenario — if even the clubs deny paying the money required to take part in ISL. Well, its just an understanding rather than the narrative by us. Subrata Dutt proposed the possibility of a seven-month league with 18 teams to which Nick refused to make any comment on in front of the club officials. He suggested that the report he will be releasing in November, is believed to have answers worth changing the scenario of Indian Football. Pressurised by the situation, AIFF has decided to put a pause to the bidding process of introducing new teams to the I-League. In fact, the AIFF now aims to bring back the old clubs who had decided to move away from the I-league. Any guesses? Subrata Dutt is confident that the old, cornered clubs could be scraped together if AIFF comes calling. Though the clubs had already made clear of any possibility of joining the elite force, unless— a condition too heavy to bear for AIFF. Is there a Renaissance coming up for the Kolkata Giants? 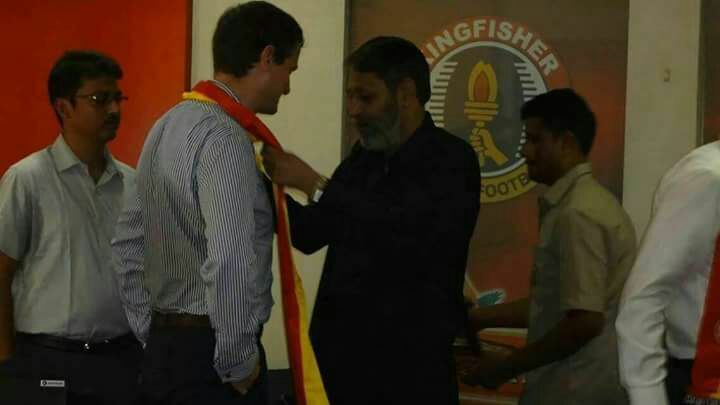 Will the present synopsis of the domestic football of India change forever after Nick Coward will present his report to FIFA after the U-17 World Cup?